While trust is at the heart of the collaborative economy, disputes may not be precluded from arising: a) between the platform and the supplier of the underlying service concerning the terms of their (intermediation) contract, b) between the platform and the supplier concerning the underlying service (in case eg of joint liability), c) between the platform and the consumer and d) between the consumer and the supplier of the underlying service, ie between peers) between third parties (eg aggrieved neighbours or victims of car accidents) and any of the above. The applicable rules and competent jurisdictions may vary on the basis of several parameters: the business model followed, the degree of autonomy enjoyed by each of the parties, their location, the place where the service is provided, the contractual terms and the qualification of the parties as being consumers or not. This explains that dispute resolution through litigation need be complemented or, indeed, replaced by alternative and/or online dispute resolution systems. As many as five jurisdictions and applicable legal regimes may be relevant in a dispute raised in the collaborative context: parties to the transaction may each reside in different countries (or continents), while the platform is headquartered in another country (typically in the US), maintains some sort of establishment in an EU Member State (eg Ireland for Airbnb, the Netherlands for Uber) and runs subsidiary local branches. Further, the lines between online and offline disputes are often blurred, while purely digital ‘online’ services, may, depending on the circumstances, be located at the place of uploading, the place of downloading, or the place of any other ‘connecting factor’, in the sense of private international law. Between the provider and the recipient of collaborative services there rarely is a written contract stipulating jurisdiction and applicable law. Therefore, private international law, namely the rules of Brussels I Regulation (recast) on jurisdiction and the rules of the Rome I Regulation on applicable law are relevant. Both pieces of legislation foresee special rules in favour of consumers, applicable in B2C situations; here again, the red line which distinguishes prosumers from professionals (discussed in my previous post), is highly relevant. If we remain in a C2C (or B2B) relationship, then the parties are free to choose jurisdiction and rules. If they have omitted to do so (as the case will most often be), the applicable law shall be that of the country where the service provider habitually resides (Rome I, 4(b)), regardless of whether that country is an EU Member State or not (Rome I, 2). Further, the ‘special jurisdiction’ of matters relating to a contract of the Brussels I Regulation (recast) shall fall into play (Brussels I, 7(1)). Thus, either one of the parties can be sued in the Member State where ‘the services were provided or should have been provided’(Brussels I, 7(1)b), whatever that means in for purely digital services. If, on the other hand, the relationship is a B2C the relevant special protective provisions for ‘consumers contracts’ shall be triggered (Rome I, 6 and Brussels I, Section 4). The dispute will be governed by the law of the consumer’s country of residence and the consumer will be able to commence proceedings not only before the courts of the Member State where the supplier (defendant) is domiciled, but also before the courts of the Member State where s/he is domiciled, even if the supplier is non-EU domiciled (Brussels I, 6(1) and 18(1)). Further, the supplier may bring proceedings against the consumer only before the courts of the Member State where the consumer is domiciled (Brussels I, 19). This means practically that an occasional freelancer on Fiverr providing writing, editing, translating and the like services could be sued in another Member State under the law of that country and that s/he would only be able to sue the consumer in the latter’s Member State – a rather unsatisfactory state of affairs. Contrary to contracts between peers, contracts between the peers and platforms typically include clauses on applicable law and jurisdiction. These clauses are generally included within the platform’s Terms and Conditions and usually reflect the place where platforms are established or else operate. Hence, for example, Airbnb, for EU residents, designates Irish law and jurisdictions, while Uber designates Dutch law and Amsterdam as the place for its dispute resolution proceedings. Of course, the protective rules for consumers discussed above continue to apply and, therefore, once again, the rules governing the applicable law and the jurisdiction will be dependent on the legal qualification of the provider (prosumer vs professional). A further issue concerns jurisdiction and applicable law over individual contracts of employment. As explained in a previous post, the question of whether collaborative ‘workers’ are employees or not is, as yet, unresolved. However, if an employment relationship is found to exist, then the collaborative ‘employees’ shall further benefit from the protective rules of the Brussels I Regulation (Section 5) and the Rome I Regulation (Art. 8). In that event, the choice of law is of limited effect, since derogation from the protective rules is only allowed after the dispute has arisen or if the agreement allows additional jurisdiction/s for the employee (Brussels I, 23). The above uncertainties concerning applicable law and jurisdiction, as well as language barriers, not to mention enforcement issues, further act as deterrents to judicial dispute resolution. Most importantly, the cost of legal redress by litigation will rarely be worth the value of the claim. Moreover, the traditional judicial justice cannot endorse the tripartite collaborative relationship; hence, it is unfair for the supplier in a dispute with a consumer to bear the burden of proof, in view of the platform’s control and the information asymmetries therein (eg an Uber driver could not possibly defend/explain the fare of his/her ride). 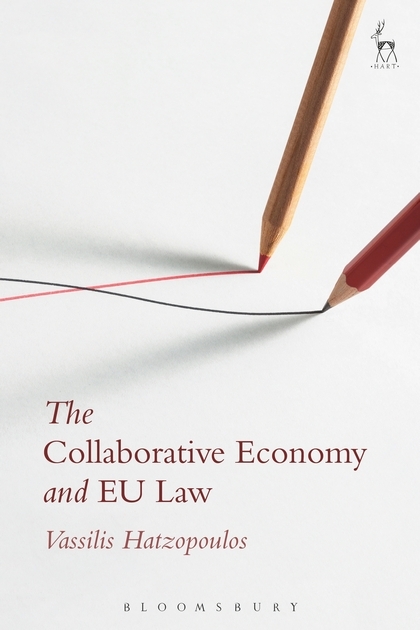 Last but not least, the adversarial nature of litigation is at odds with the friendly, community-promoting model of the collaborative economy. Hence, litigation in most cases is probably ‘the last resort’, if alternative and/or online dispute resolution means are exhausted. While the ADR Directive offers opportunities for the resolution of disputes in C2B relations, it does not apply to B2B or C2C transactions, since it only covers disputes between consumers and traders. It further does not cover proceedings initiated by a trader against a consumer, ie B2C relations (Art. 2(2)g). The ADR Directive also only covers disputes between a consumer resident and a trader established in the EU. Therefore, this limited scope of the ADR Directive leads to fragmented and potentially unfair implementation of ADR rules across the EU with regard to collaborative activities. Irrespective of the EU directive, most platforms tend to include in their Terms and Conditions mandatory or optional arbitration and/or mediation clauses. Such ADR systems allow them to treat every dispute individually as opposed to having to challenge class-action lawsuits, in the forum and according to the rules of their choice, are less costly, more efficient, and do not set legal precedents. However, it is not clear whether such clauses are valid, to the extent that they restrict users’ right to a trial: even if they are clearly expressed in understandable terms (not legalese), and are unequivocally accepted, they may still qualify as being abusive and not bind on the users, unless they are agreed after the dispute has arisen. In the EU pre-dispute clauses are widely forbidden by Member States. The CJEU too has stated that national courts must be able to examine the unfairness of arbitration clauses even after the arbitration decision is final. More than ADR, online and, even, virtual dispute resolution seem to be the most adequate means of redress for the electronic services delivered (often in a purely digital manner) in the collaborative economy. It capacitates resolution of cross-border conflicts at a distance, without any inconvenience to the parties, it allows for utilisation of useful software applications, easily accessed and used by peers, it may make great use of the large databases already available in the digital sphere, and in general it has the capacity to yield technology to the service of justice. Besides, the online resolution of disputes generating from online activity seems highly appropriate. In some regards, ODR is to traditional justice systems what Airbnb is to the accommodation and Uber to the transportation industries; a fast, cheap and convenient alternative solution. According to the European Regulation on ODR, platforms must include in an easily accessible way an electronic link leading to the EU Commission’s ODR platform. The ODR platform started operating in February 2016 and is still early to assess its effectiveness. It is worth noting, however, that the scope of application of the Regulation is limited in a way similar to that of the ADR Directive (applicable only in B2C disputes, of parties located within the EU). In the meantime, platforms struggle in the dilemma, either to remain mere intermediaries distanced from the activity of peers or to use their unique position (they control important aspects of the transaction, such as payment, insurance, matching, promotion, training of suppliers, background checks, insurance etc) to assist parties resolve their disputes. Most platforms strive, by ex ante measures and checks, to prevent disputes from arising: they use the vast amounts of personal and non-personal data and they design their algorithms with dispute prevention and resolution in mind. Some, such as eg Airbnb, have introduced in-house dispute resolution systems. Airbnb also has a policy in order to prevent disputes arising out of reputation ratings, whereby one party may not see the other’s review before submitting their own, and can also communicate privately, in order to have a more confidential exchange. Platforms must take a more ‘hands-on’ approach in dispute resolution if not out of ethics and sense of legality, then out of pure self-interest; experience has shown that peers react badly to unfair practices and/or distrust and in a ‘peer’ economy this could be a major problem for platforms; in order to ensure their viability, platforms must inspire trust among peers. This can only happen if they assume responsibility for providing effective outlets for aggrieved peers to claim their redress. European Parliament and Council Regulation (EU) No 1215/2012 of 12 December 2012 on jurisdiction and the recognition and enforcement of judgments in civil and commercial matters (Brussels I Regulation (recast))  OJ L 351/1. The recast Regulation shall apply to legal proceedings instituted on or after 10 January 2015, while the repealed Regulation shall apply to judgments given in proceedings instituted before that date (Art 66). European Parliament and Council Regulation (EC) No 593/2008 of 17 June 2008 on the law applicable to contractual obligations (Rome I Regulation) OJ L 177/6. European Parliament and Council Directive 2013/11/EU of 21 May 2013 on alternative dispute resolution for consumer disputes and amending Regulation (EC) No 2006/2004 and Directive 2009/22/EC (Directive on consumer ADR)  OJ L 165/63. See Case C-168/05Mostaza Claro EU:C:2006:675, para 39 ; Case C-40/08 AsturcomTelecommunicacionesEU:C:2009:615,para 59. European Parliament and Council Regulation (EU) No 524/2013 of 21 May 2013 on online dispute resolution for consumer disputes and amending Regulation (EC) No 2006/2004 and Directive 2009/22/EC (Regulation on consumer ODR) OJ L 165/1.